White Pawn captures d6, plunders Knight vest. 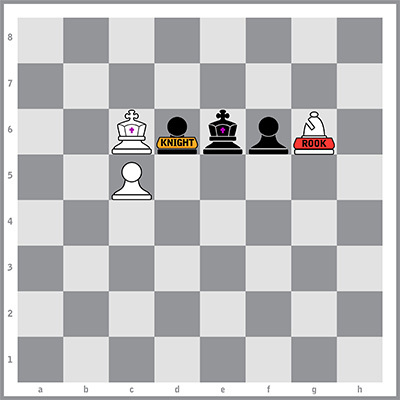 Black King moves to e5. (Note that black Pawn on f6 is pinned by white BishopRook on g6 due to Rook vest power.) White BishopRook moves to e4, checkmate.